The front-runner in the race to lead the Democratic United Party says the ruling Saenuri Party’s support for a North Korean human rights bill is aimed at attacking opposition politicians and not the improvement of human rights in North Korea. Representative Kim Han-gill said in a news conference at the National Assembly on Thursday that he doesn’t oppose bettering the human rights situation in North Korea. But he stressed the legislation proposed by a Saenuri lawmaker is only an attack on the ideologies of opposition lawmakers ahead of this December’s presidential election. 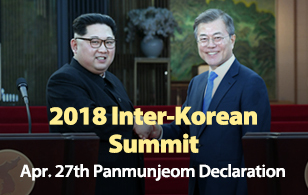 Kim said the Saenuri Party should not threaten peace on the Korean Peninsula in the name of human rights and take advantage of the issue to help former ruling party leader Park Geun-hye get elected president. Kim also raised objection to the Saenuri Party’s drive to expel Unified Progressive Party Representatives Lee Seok-ki and Kim Jae-yeon from parliament. He said the National Assembly will become a war of all against all if the Saenuri Party thinks it can review the ideological backgrounds of each lawmaker and expel those it finds questionable. Kim added that many people also think Saenuri presidential hopeful Park Guen-hye has problematic views of state. Kim said in a radio interview earlier in the day that DUP Representative Im Soo-kyung made a big mistake with her remarks against North Korean escapees. But he added that it is wrong for the ruling party to use her verbal lapse as an occasion to enhance its political advantages. 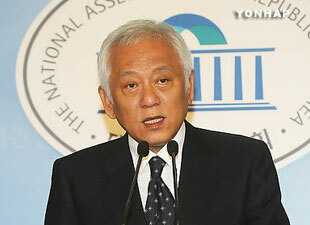 Moon Likely to Appoint Constitutional Court Justice Nominees on Fri.